Collector's Editions have been a staple of the industry, usually offering a variety of themed goodies for the die hard fans of a particular title or series. 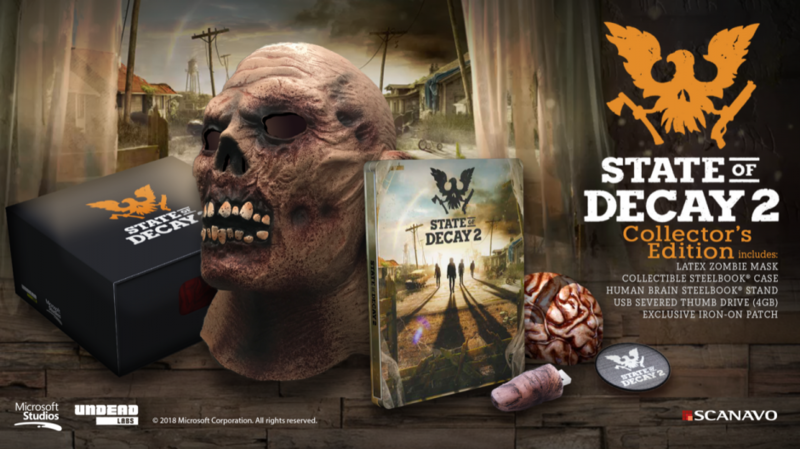 In that sense, the State of Decay 2 Collector's Edition is very much in line with the rest. It includes a zombie mask (that may or may not fit on your cat's head), a "thumb" drive (it's shaped like a severed thumb), a SteelBook case in which to put the disc of the game, a brain-shaped stand in which to put the SteelBook case, and an iron-on patch. Not a bad offering of things if you're interested, but one point does stand out. As the announcement post pointed out in a clarification that was later added, the Collector's Edition, which will cost you $69.99, does not include a copy of the game at all; physical, which would go nicely inside that SteelBook case, or digital, which could not go inside the case but would still be a nice inclusion. If you wish to get the game, that will run you an additional $30 for the Standard, or $50 for the "Ultimate Edition" that includes a code for the original game and codes for two future add-on packs: "Independence" and "Daybreak." All told, then, the Collector's Edition plus the game will run you either $100 or $120, which, in fairness, isn't that much more than you'd expect to pay for just about any other Collector's Edition. This isn't the first time this kind of tactic has been used, so it's not entirely unprecedented, but what intrigues me about all of this is if this kind of "à la carte" model will continue and if it will, in time, offer more options. For instance, maybe you could pick and choose what specific "bonus" goodies you'd like in your own particular, customized edition. Granted, that kind of thing requires a lot more work on the developer/publisher side of things to arrange, which may not really be worth it for them. The other aspect of this that's interesting is that it specifically puts a spotlight on the cost of these "collectibles." In most other Collector's Editions, $60 of that $100 is just the game, meaning the remaining $40 is comprised of whatever add-ons there may be. Are those goods worth more or less than that $40? In other words, is the company making a profit or a slight loss in order to sell more units? (Presumably the former, but the latter isn't unheard of.) 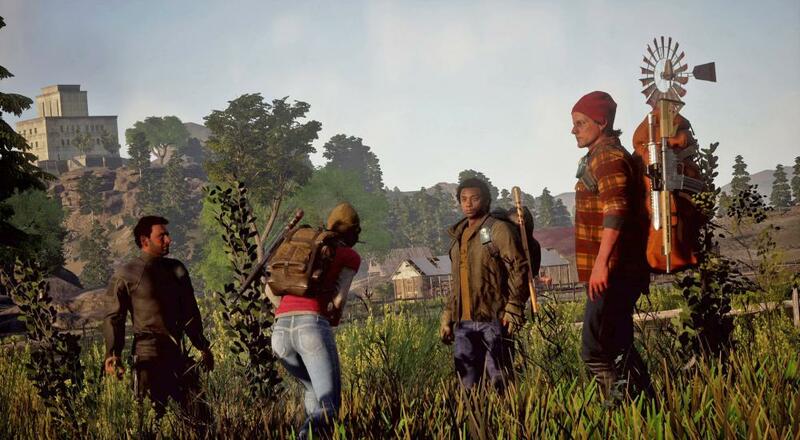 In the case of State of Decay 2, it's lower price point is due, as Microsoft/Undead Labs has stated, to the developers wanting to "give more players the opportunity to join in and experience this unique game." While that's all well and good, the lingering question now is is the stuff included in their Collector's Edition worth $70? Shining a spotlight on these things can lead to some rather unexpected results, so it'll be interesting to see if this does well for Microsoft/Undead Labs and if it gets replicated in the future. State of Decay 2 will be available on May 22, 2018 for Windows 10 PC and Xbox One. It will support four player online co-op in the campaign. If you're an Xbox Game Pass member and pick the title up, then you'll be able to start playing a few days earlier on May 18.